Do you feel like you are stuck in a never-ending debt cycle? Perhaps you keep getting out of debt, only to fall back into it shortly after. 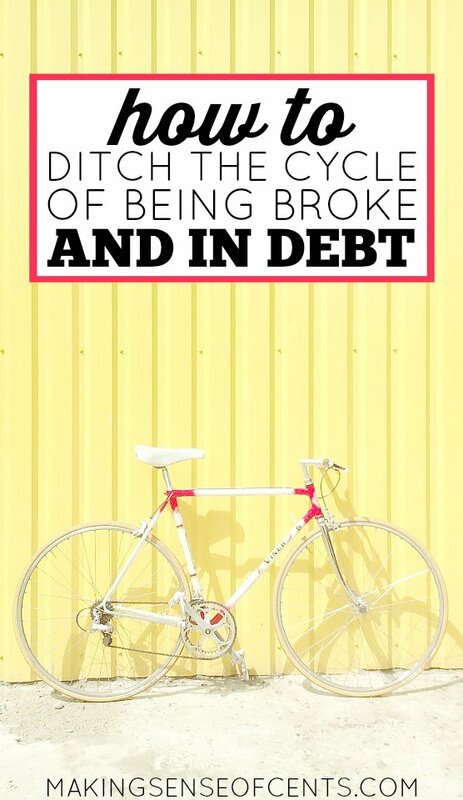 That is what a debt cycle is, and many people fall into this cycle and can't seem to get out. Falling into debt over and over again can lead to insane amounts of stress, unhappiness, sadness, and feelings of hopelessness. No one wants to experience these feelings. But, I want to tell you that it IS possible to get out of the debt cycle. Today, I will help you finally escape the debt cycle so that you can live the life you want. Do you feel like you deserve everything you buy? Do you have an emotional spending problem? Are you afraid to face how much debt you have? Do you feel like debt makes things seem more affordable? Are you unprepared for emergencies? Do you truly understand how debt and interest rates work? Do you have credit card spending problems? To get out of a debt cycle, you need to realize why you keep falling into debt. By understanding why you are falling into debt, you can begin to prevent yourself from falling back into a debt cycle. However, until you dig deep and realize this, the debt cycle will never end. Side note: I highly recommend that you check out Personal Capital if you are interested in gaining control of your financial situation. 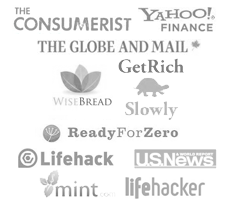 Personal Capital is very similar to Mint.com but 100 times better. Personal Capital allows you to aggregate your financial accounts so that you can easily see your financial situation. You can connect accounts such as your mortgage, bank accounts, credit card accounts, investment accounts, retirement accounts, and more. And, it is FREE. 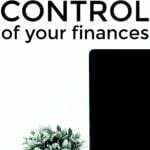 This is related to facing your problem, as adding up your total amount of debt will help you realize how to gain control of your debt. This will help you to truly understand how much debt you are dealing with. Plus, most people have no idea how much debt they have. By adding it up, you will have a more realistic view of your debt problem. Most people have student loans, credit card debt, a mortgage, car loans, and sometimes many other forms of debt. However, not many people have a budget. According to a survey done by Gallup, 68% of households in the U.S. do not have a budget. Budgeting can help you take control of your financial situation so that you can stop the revolving debt cycle. Read more at The Complete Budgeting Guide: How To Create A Budget That Works. In order to get out of the debt cycle, you'll have to pay off your debt! Paying off your debt can lessen your stress levels, allow you to have more money to put towards something else (such as retirement), stop paying interest fees, and more. 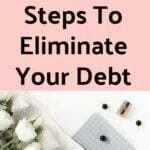 Read more at How To Eliminate Your Debt. Having your financial goal displayed in front of you can make it that much more real, plus it’s nice to have a constant reminder of what you’re working towards. Create a graphic that demonstrates your financial goal. 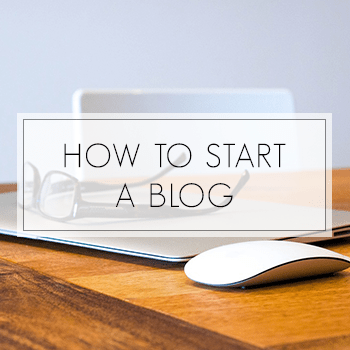 I did some research and found a blog post on A Cultivated Nest about many creative ways to do this. Keep a picture of your goal on hand. 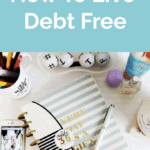 You could even go all out and create a vision board on Pinterest, or you can create a poster board of all of the things that debt freedom will allow you to do. Write down what debt free life will be like for you. An emergency fund is something that everyone should have. However, according to a report by Bankrate.com, 26% of Americans have no emergency fund whatsoever. This same report found that only 40% of families have enough in savings to cover three months of expenses, with an even lower percentage having the recommended six months worth of savings. This is scary to me, as having an emergency fund can greatly help you get through hard and unexpected situations that may arise. If you have a medical expense, and so on. Plus, an emergency fund can help you get out of the revolving debt cycle. This is because if an emergency does arise, you won't be forced to rely on debt in order to solve your situation. Instead, you'll have your emergency fund to bail you out! Read more at Everything You Need To Know About Emergency Funds. Too many people live paycheck to paycheck. This can lead to credit card debt, high interest rates, and more. You should always be spending less than you earn. If you aren't, then you need to find ways to cut your budget and/or increase the amount of money you earn. Finding ways to save more money may allow you to pay off your debt a little faster, improve your financial habits, help you reach your dream sooner, and more. 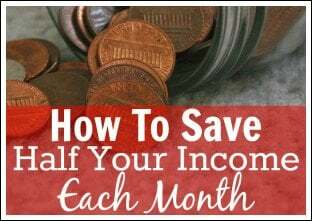 Read more at 30+ Ways To Save Money Each Month. 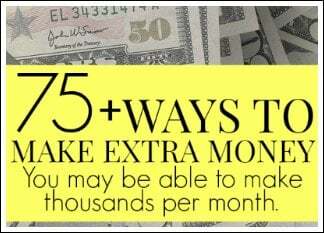 I believe that earning extra income can completely change your life in a positive way. 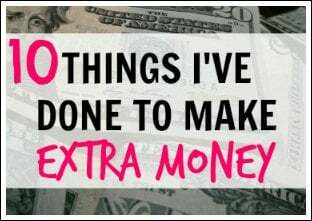 You can stop living paycheck to paycheck, pay off your debt, and more, all by earning extra money. 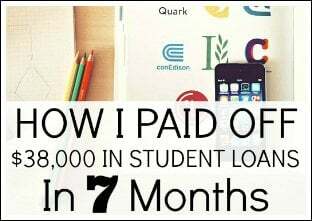 In fact, because of extra income and my blog, I was able to pay off $38,000 in student loans within 7 months, leave my day job in order to pursue my passion, travel full-time, and more! 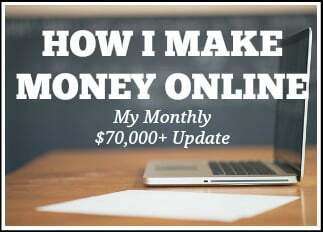 Making extra money can do something similar for you as well. It can help you break out of the debt cycle as you'll be able to put more money towards your debt, and you will be able to spend less than you earn. If your problem with debt is that you don't know how to correctly use credit cards, or credit cards or too tempting for you, then you may want to get rid of your credit cards and try using cash. A cash budget is when you pay for the majority of your purchases in cash. 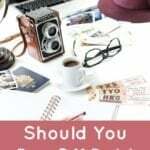 Of course, there are certain expenses, like a mortgage payment, that you may not be able to do that for or that you may not want to do that for. For the most part, any and almost all spending is done with cash when a person is taking part in a cash budget. Whether you are a young child and want that new toy everyone is playing with, or if you are a parent and are feeling the need to upgrade your house, car, etc., everyone has experienced wanting to keep up with someone else. 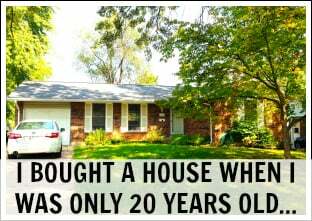 The problem with this is that keeping up with the Joneses can make you broke and fall into a revolving debt cycle. When trying to keep up with the Joneses, you might spend money you do not have. You might put expenses on credit cards to, in a pretend world, “afford” things. You might even buy things you don’t really care about. The problems can go on and on. This can then lead to a lot of debt and potentially set your financial goals back years, if not decades. You should stop caring about what other people are buying, and, instead, only do what makes you happy. Are you stuck in the revolving debt cycle? What are you doing so that you can get out? I had never heard of a vision board before, what a great idea. Having worked in the debt industry for many years I’ve found the main problem is not acting fast enough. Debt doesn’t go away by burying your head. Making a few adjustments to your life, as you’ve suggested above, can make such a huge difference. Knowing the wants over the needs is probably the biggest factor when dealing with debt. David, a vision board is taken from The Law of Attraction, I think. It helps you keep your focus on what you are working toward. I totally agree that not acting fast enough on debt is a problem for a lot of people. I had a lot going on in my life and not being able to deal with some of the debt as quick as I would have liked saw it balloon. I’m paying for it now. I’m turning things around now though – I’ve got firm control over my finances now, thanks to rating up a budget and sticking to it. A vision board is a great idea! I have made small ones, and that’s pretty much what Pinterest is to me as well, haha. I’m working to fend off a rather large amount of debt. 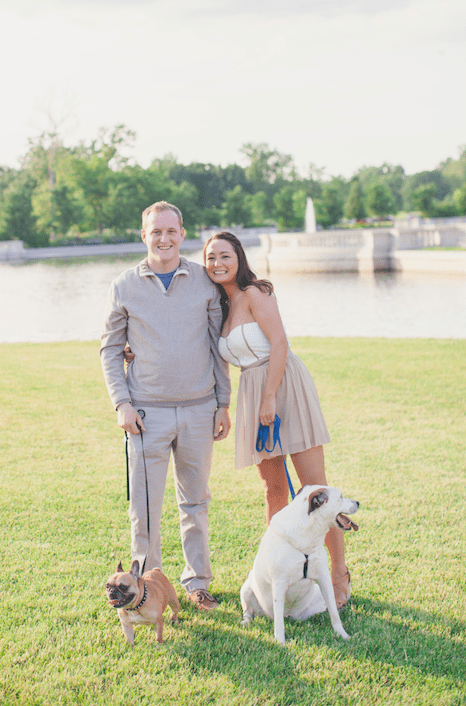 I’m finding a budget has been pivotal to making a huge impact in my progress. 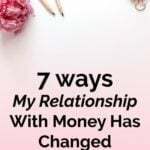 Getting insight into my finances through a budget has really helped, it has then enabled me to cut my expenses and now I’m focusing on creating extra income. This covers the basics. I really found that my sense of security and level of stress changed once I was saving a large chunk of my income. Great way to start. Great post, Michelle! I think letting go of appearances, or rather stop trying to keep up with the Joneses, is a huge part of being able to stop the debt cycle. Figuring out what your priorities in life really are and living/spending intentionally can make a huge impact to the budget and help break that debt cycle. We’re finally making progress in our escape from debt, after going through this cycle many times. The big difference is finally adopting new priorities when it comes to our money. We didn’t have many long term goals before, and focused too much on the temporary pleasure afforded by purchasing things. Now, we know there are better options and our dream life is way more important than buying meaningless crap. Debt is one of the worst things you can do to your finances! I never carried a balance on mine, because I never thought I could afford to. Most people can’t! Also if Iam debt free, I am focused on savings to achieve very important financial goals…budget and visual board are still helping me a lot!!! I love the motivating post! We’ve already done all of these things except for the vision board, but I have been planning on making one since I moved into a new job that is commission based so I can stay motivated. Agreed to these Michelle. I am just glad that I don’t keep up with the Joneses and I don’t feel any pressure to be like them. I am happy to stay as frugal as possible as it helps me achieve my financial goals more easily. Love this post! I think it’s so important that you touched on the behavioral aspects surrounding debt. The number crunching is the easy part, but mastering your behaviors and controlling your habits is the real key to getting out of the paycheck to paycheck and debt reliant lifestyle. Thanks for the tips! Nice round up about debt. The Joneses are like the ghost of American present. We seek to keep up with them but they always seem to escape our grasp, like fog. Then there’s the moment when you realize: the Joneses are trying to keep up with the Smiths. Living life to keep up with the Jones will be a never ending run on a treadmill. I love this! I don’t think people understand that getting in debt/staying in debt is not a good thing. I work so hard for my paycheck just to see it go straight to bills. 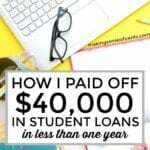 I’m feverishly trying to get out of debt, but it is very hard to do while drowning in student loan debt! I’ll make it one day! 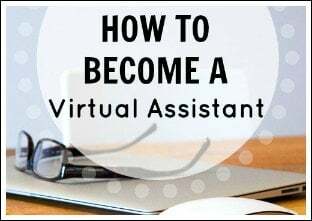 I recently started my own blog to help others realize their career path sooner and to avoid student loan debt at all costs. 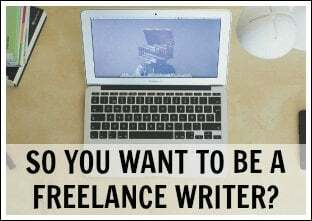 I’d love for you to check it out at http://www.theeducateddreamer.com! 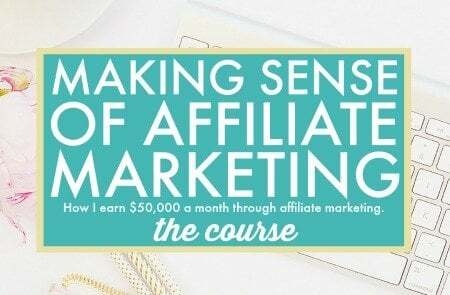 I’m hoping my knowledge can help others to find their dream career while staying out of debt! 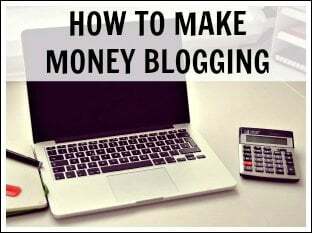 Ever since I have found this website, I have had a completely different thought process when it comes to money. I have read other finance websites, and felt as though I was being “yelled” at. Michelle you have a down to earth approach to finances. Thank you very much for sharing your advice so freely. Have a wonderful weekend. I created an attack plan in excel using both a mixture of avalanche and snowball payoff methods. Right now I’m selling some of my higher end stuff on eBay to throw entirely at my highest rate APR cards. One at 19.99% and the other one at 15.99%. I plan on picking up more photography side gigs next year as I just got burnt out with clients and hardly touched my camera this year. I may pick up some seasonal work as well and just throw every bit of that paycheck to the debts. Would be nice to see at least one paycheck stay in the savings account. I’ve been back-reading your blog as well to keep reminding myself this is a process over time not over night. Sometimes, it takes being broke to discover your true potential and rebuild from the ground floor up in being a future side hustle millionaire and unleashing true $ gUaP $ earning potential.